Sony has captured almost a third of the $7.6B image sensor market. 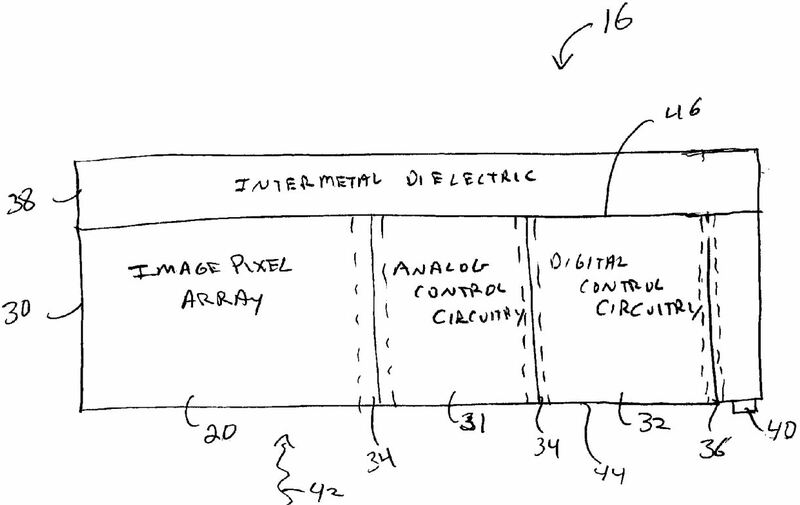 Sony’s revenue from the image sensors gained an estimated 30% last year. About 80% of the imaging sensors Sony produces are sold outside the company, said Masahito Takeda, a spokesman for Sony. Most of the 10.9B yen ($111M) operating profit last quarter from Sony’s device division was generated by image sensor sales, Deutsche Bank estimates. Omnivision ranked second with 14.4%, followed by Samsung at 12.9%. Rapidus.se reports that Apple has acquired AlgoTrim, a start-up from Malmö, southern Sweden. AlgoTrim develops advanced solutions for mobile devices within the fields of data compression, mobile imaging and video, and computer graphics. AlgoTrim provides several solutions for real-time video processing such as a lossless symmetric video codec and a software-only ISP. 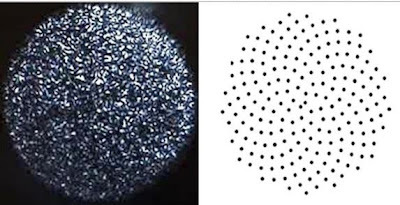 The company also provides more advanced imaging solutions such as super resolution and says it will soon offer other imaging solutions that will bring modern computational photography to mobile devices. Rapudus also writes that 3 years ago Apple has acquired another Malmö-based startup, Polar Rose, used to deal with face recognition. PR Newswire: Omnivision reports quarterly results for its last financial quarter ended on July 31, 2013. 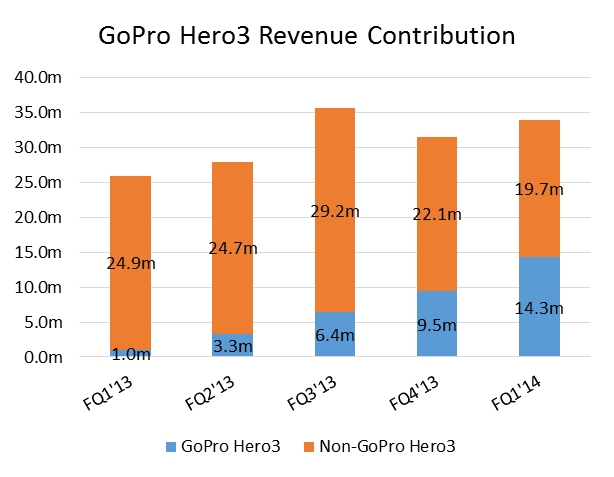 Revenues for the quarter were $373.7M, as compared to $336.2M in the previous quarter, and $258.1M a year ago. GAAP net income was $23.1M, as compared to $8.9M in the previous quarter, and $2.3M a year ago. GAAP gross margin for the quarter was 17.4%, as compared to 17.5% for the previous quarter and 19.1% a year ago. The sequential decrease in gross margin reflected an increase in allowance for excess and obsolete inventories, partially offset by incremental production cost improvements. The company ended the period with cash, cash equivalents and short-term investments totaling $240.5M, an increase of $28.2M from the previous quarter. The Company expects revenues for the next quarter to be in the range of $375M to $410M. "...we are excited to report strong sequential revenue growth in spite of a slowdown in the smartphone market during the second half of the quarter. Nonetheless, as competition intensified in response to the market slowdown, the forecasts for some of our products were negatively affected and we did not see a sequential improvement in gross margin," said Shaw Hong, CEO of OmniVision. "We continue to pursue cost reductions across our supply chain, and market diversifications into potential growth areas such as automotive." I would have expected given the scale that you would have a better cost of manufacturing sensors relative to the smaller Chinese competition or companies. So I'm a little surprised that that they are able to put pressure on your margins maybe you could just clarify for us how they are able to put pressure on your margins despite your scale? We are not exactly saying that in some of the lower cost competitors in the market are putting pressure on the margin per se. Most of the margin issues for this quarter in particular based on the prepared remarks, it’s coming from increase in our own recording of excess charge for inventories, as suppose to ASP type pressure. Albeit the pressure is there, right. So I would have to say that that there is not so much pressure from in this low cost manufacturer, the cost a detriment to the gross margin. The Times of Israel: Intel CVP Mooly Eden presentated "Perceptual Computing" (Per-C) project progress in Israel last month. "Gestures, voice, and facial expressions — the natural things that God gave you — those are intuitive," said Eden, and it’s Intel’s aim to integrate those capabilities into computing experiences. More than a dozen entrepreneurs showed off their Per-C programming skills at Intel Israel’s first Perceptual Computing Hackathon at Intel’s Haifa campus last month. Participants were given 48 hours to come up with a Per-C application that makes use of the Intel Per-C toolkit, incorporating use of the Creative 3D cameras distributed to each team along with voice commands via a microphone. Intel also plans a Perceptual Computing Challenge, a worldwide contest which will feature over 700 projects presented in San Francisco this September. 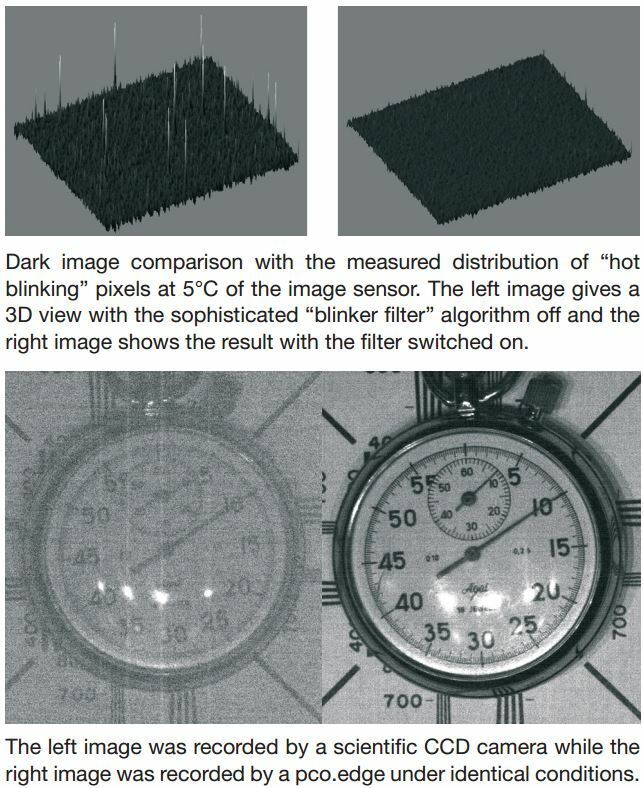 ExtremeTech: iniLabs, a spin-off from the Neuroinformatics Institute at the University of Zurich presents a DVS128 sensor that outputs only changes in pixel light intensity, rather than full frame by frame images like other sensors do. This event-based output technique allowed the startup company to create a fairly low power sensor which is still able to react on fast events. 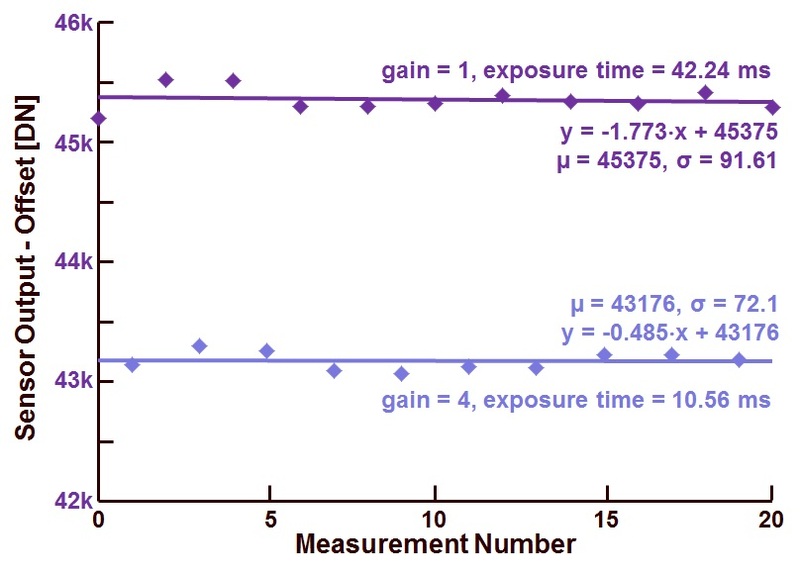 Under bright illumination, a timing precision of 1 μs and a latency of just 15 μs can be achieved. The VS128 costs $2700, and it's quite unique as not that many smart sensors reached the standard product stage. 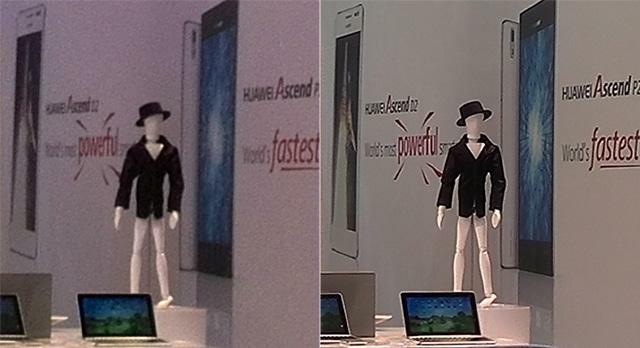 Almalence implements a software-based super resolution zoom for Huawei’s Ascend P2 and Ascend P6 smartphones, SHARP’s new devices and several Korean and Taiwanese mobile phone makers. 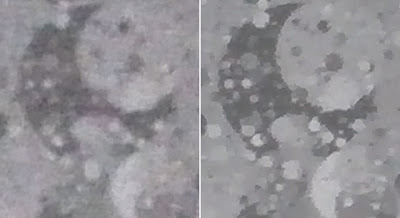 Almalence’s Super Resolution Zoom is a multi-frame technology, whith added benefit of noise reduction in low light conditions. (illuminance: 150 lux). 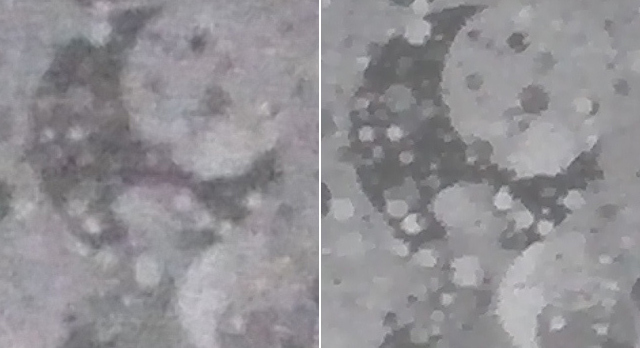 Normal 2x zoom vs Super Resolution 2x Zoom. 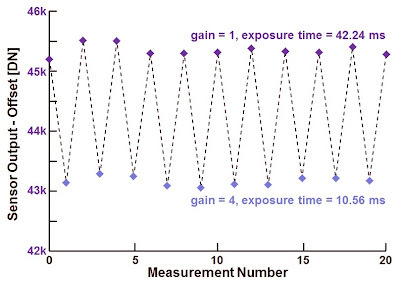 MTF30 measurement with ImaTest shows 1.9x effective resolution increase. BusinessWire: Jazz Semiconductor, a fully owned U.S. subsidiary of TowerJazz Semiconductor, has announced the accreditation for trusted status of Jazz Semiconductor Trusted Foundry (JSTF). JSTF has been accredited as a Category 1A Trusted Supplier by the US Department of Defense (DoD) as a provider of trusted semiconductors in critical defense applications. "Specific recent activities to further support our customers include a long-term lease extension and implementation of new technology focused on the aerospace and defense market, including CMOS image sensors and ROICs for IR sensors," stated Mike Scott, Director – TowerJazz Aerospace and Defense Business Unit. Pro-physik.de reports that Daimler AG, DResearch GmbH, Fraunhofer IOF, Jena, Leibniz Institute for Innovative Microelectronics IHP, Sick AG, Microelectronic Packaging GmbH, Sypro Optics GmbH and viimagic GmbH partner to develop a camera module technology based on insects compound eye. 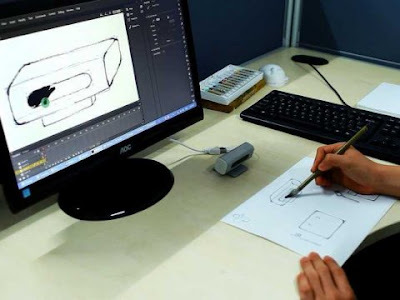 Specifically, the consortium intends to develop a HDR camera for industrial imaging, a camera for use in video security systems in public transport vehicles and automotive camera. Such cameras can also be used in consumer products, such as a mobile phone and video telephony cameras. The Federal Ministry of Education and Research (BMBF) funds the project within the framework of the "Self-adapting intelligent Multiaperturkamera modules", or "SITARA". Thanks to VB for the link! PRNewswire: Pelican Imaging extends its recent Series C round with funding from Panasonic Corp. Pelican announced in May 2013 the first closing of its Series C funding with investors Qualcomm Ventures, Nokia Growth Partners, Globespan Capital, Granite Ventures, InterWest and IQT. "Pelican's array camera technology is extremely innovative; they're pioneering the next generation of video and image capture," said Patrick Suel, Venture Partner at Panasonic. 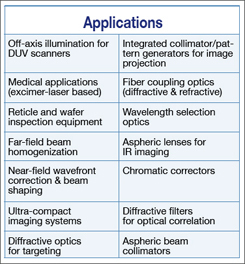 "We think there are broad applications for depth-enabled imaging in many industries." Pelican Imaging CEO and President Chris Pickett noted, "We're extremely pleased to add Panasonic to our investor group, which includes other industry leaders like Qualcomm and Nokia. Our relationship with Panasonic will provide further market leverage to bring Pelican's solutions to multiple market segments." Pelican array camera provides depth information of the captured scene, allowing users to refocus after the fact, create 3D models, and perform "an unprecedented range of edits". 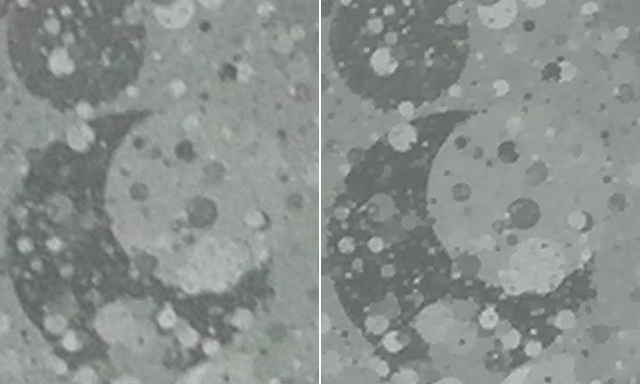 At under 3mm thickness, Pelican's array camera is said to be about 50% of the thickness of the best-in-class camera modules shipping in mobile phones today (not clear what resolution is compared). 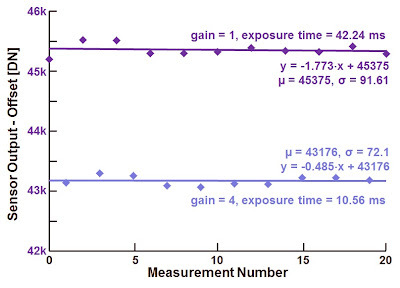 and exposure time are matched to each other. Same data as above, but now with the regression lines added. 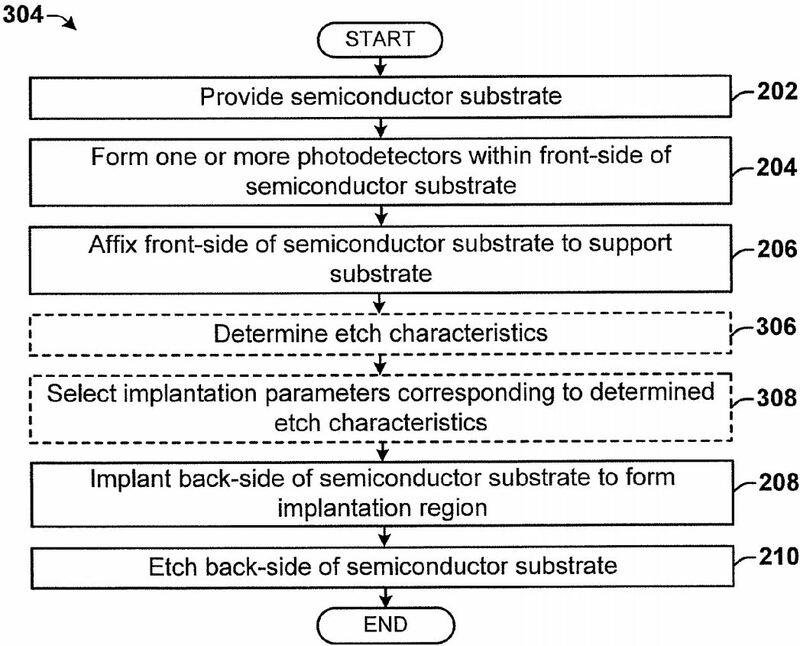 TSMC patent application US20130207218 "Novel Condition Before TMAH Improved Device Performance" by En-Ting Lee, Kun-El Chen, Yu-Sheng Wang, Chien-Chung Chen, and Huai-Tei Yang proposes to improve remaining thickness uniformity in BSI sensors (TMAH is Tetramethylammonium Hydroxide etchant). "In the field of image sensor, Omnivision did all it could do to catch up from the second half of 2012 by lowering prices to stimulate sales. The consequent substantial growth of 50% in shipment narrowly kept its dominant position in the field of non-digital camera CMOS image sensor, followed closely by Samsung Electronics and Sony, especially Sony, the first to enter 13MP field and with more than 70% market share. China’s Galaxy Core relying on SMIC almost monopolizes the domestic low- and medium-end market, with shipment in 2012 exceeding 600 million units." Reuters reports that amid dwindling consumer camera sales, Canon intends to invest more in security camera solutions. Canon says its lens and sensor technology will position it well to shoot to the top of the sector. IHS forecasts the global security camera market to grow by two-thirds to $23 billion by 2017. "The market is growing quite quickly, and is forecast to grow the most in Asia," said Jon Cropley, principal analyst for video surveillance at IHS. "But it's a highly fragmented and competitive market with lots of companies involved. Coming up with a unique selling point can be difficult." Juha Alakarhu, head of Nokia camera group, Finland will present a keynote "The Megapixel Story - a decade to 2014 and beyond"
Jun Ohta, Nara Institute of Science and Technology, Japan will present a keynote "Progress with Artificial Retina Technology and Applications"
PCO presents its application tricks for sCMOS sensors used in pco.edge 5.5 and pco.edge 4.2 cameras, based on 5.5MP and 4.2MP sCMOS sensors respectively, both with 6.5um pixels. Korea Times: SK Hynix held an event to introduce its image sensor products and to highlight its strengths in related technologies to clients in Shenzhen, China. The company's key clients including ZTE and Huawei were invited to the event. 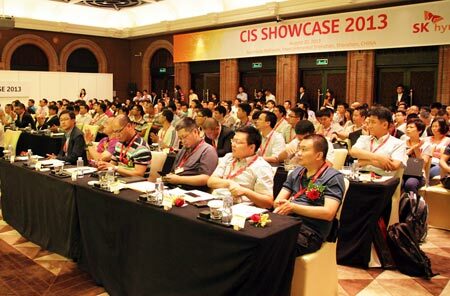 "Over 100 Chinese chipset makers and module houses came to the event, which is quite impressive. 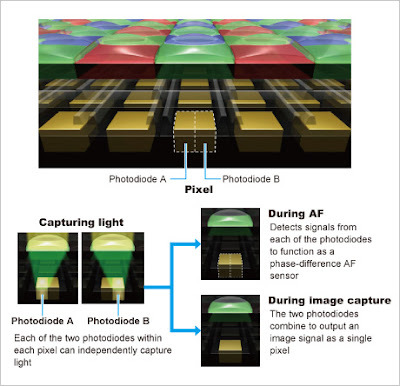 They were briefed over our new vision toward image sensors, detailed business plans and specifications of our key products like eight megapixel sensors using an advanced backside illumination (BSI) tech," said Hynix in a special statement. The company says that, according to the customer requirements, it would remove unnecessary special features and launch products at competitive prices in order to strengthen its Chinese market offensive. The newspaper says that SK Hynix is sharing its patents with Samsung. So there is some chance that Samsung will eventually use Hynix-supplied image sensors for the Galaxy line of devices, which could be another milestone for SK if it materializes, according to analysts. 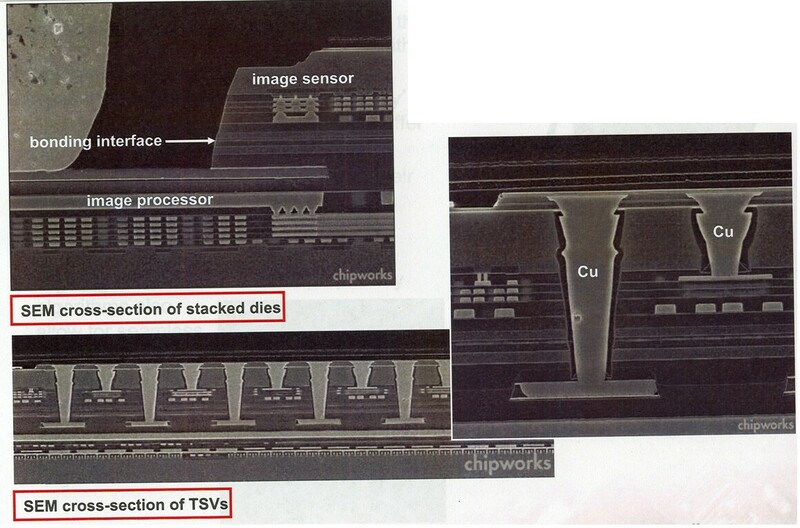 This contradicts to an earlier article by Korea Times reported that Samsung already buys about 45% of the image sensors manufactured by SK Hynix (as of Oct. 2012). "Basically there are two approaches we are developing, one uses small local memistors to store the weights that are calculated using well known learning algorithms, with most of the computations performed in the neuron. 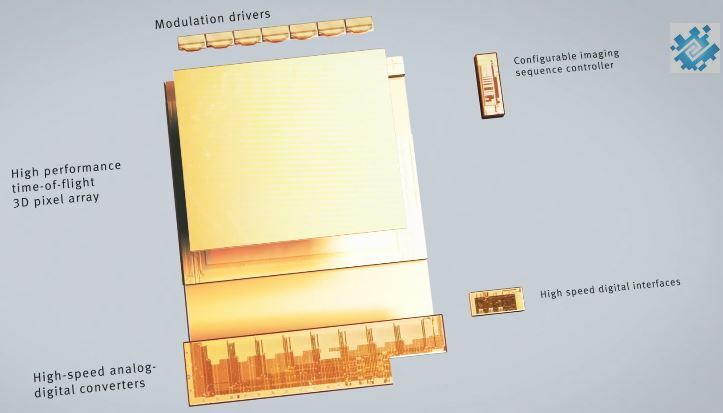 The other approach is more dramatic because we use the memristor to do the learning directly in its synapses, which is a riskier approach because you need a large amount of memory and the algorithms are not well known." The project won DARPA funding of $5.7M for four years. "In order to analyze such a speckle, a different type of optical sensor is used which has a unique configuration of the photodiode arrays. 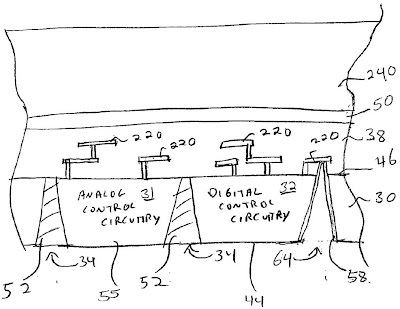 This configuration is primarily aimed at producing a minimal number of output signals, in contrast to the large number of pixels used in image correlation technique. The reduced number of output signals reduces the processing requirements of the DSP, hence reducing the power consumption and system cost." 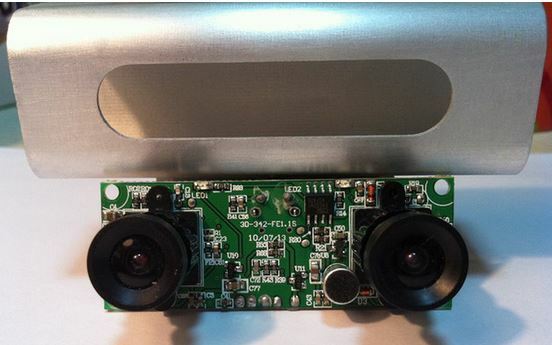 Just 2.5 years ago Heptagon announced it has shipped 100M camera module lenses. Now the company reports reaching a new milestone - it has shipped more than one billion units to OEM customers. The company, which is headquartered in Singapore, includes among its customers some of the largest makers of smart phones and tablets in the world. The company’s computational imaging cameras and sensing modules are used in smart phones, notebooks and tablets, as well as a broad range of other applications. Its light modules are used for LED flash in smart phones and smart devices, and as miniaturized solutions for infrared beam shaping and supporting gesture control in natural user interfaces, including ToF systems and other motion sensing applications. In the next twelve months, Heptagon intends to introduce many new products including: dual LED flash systems to enhance image quality; new forms of sensing for industrial imaging; high field of view camera modules; and computational imaging arrays that enable both HD video and megapixel still images. Heptagon is headquartered in Singapore, its R&D team is located in Zurich, Switzerland; development and manufacturing is in Singapore; customer support services are in Shenzhen, China; and business development, sales and the office of the CTO are in Mountain View, CA. 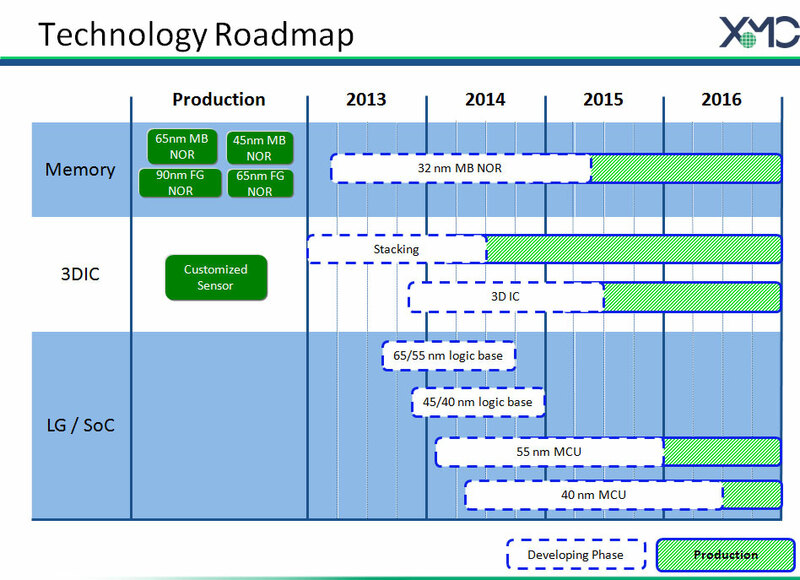 XMC is expanding its efforts by entering the CMOS image sensor foundry business. XMC’s process makes use of BSI technology and TSVs. "We’re doing TSV and face-to-face bonding," says Walt Lange, XMC SVP of Sales and Marketing. "We have put oxide bonding and copper-via bonding technologies into production." "Unlike traditional foundry models, XMC is redefining how companies can work in collaboration with their manufacturing partner. Our technology solutions are not ‘off the shelf’. We provide highly optimized and customized services to meet our partners’ unique needs. We are strategically positioning XMC as the partner of choice to develop tailored technologies for those companies that wish to have an extremely close relationship and priority access from their manufacturing partner. The result is much more of a ‘win-win’ for both sides in the relationship." "Certain elements, such as light emitting element 123 within periphery circuit region 122 may emit light. Light emitting element 123 may emit light by various mechanisms, for example, through electroluminescence of biased p-n junctions, and produce light having wavelength approximately in the infrared (“IR”) or near-IR (“NIR”) spectrum. For example, light emitting element 123 may be a MOS tunnel diode emitting light that includes a wavelength near 1.1 μm. 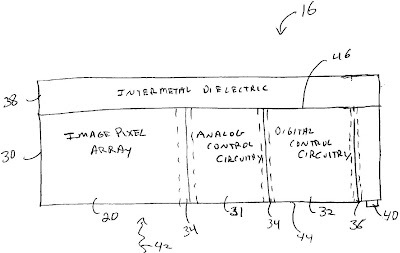 In one embodiment, light emitting element 123 includes a forward biased diode with ion implant induced dislocations, emitting light that includes a wavelength near 1.5 μm." "As we predicted in the last earnings call, CMOS image sensor product line rebounded strongly in Q2. It has become our single largest non-driver segment starting from Q2. The second quarter sales were boosted by shipments of our 1 mega-pixel sensor for tier-one laptop customers and growing demand for our 2 and 5 mega-pixel sensors from smartphone and tablet makers in China and internationally. Armed with a more complete product line including the newly-launched 8 megapixel sensor, we expect to break into new smartphone names in the second half of 2013 and continue to penetrate the tablet, IP Cam, surveillance and automotive markets. 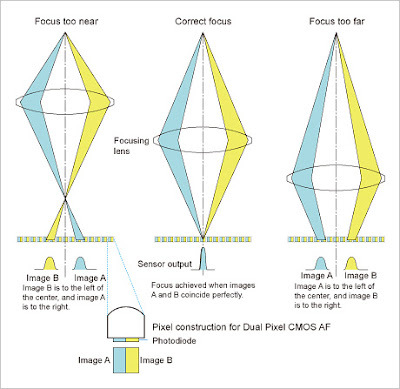 We are confident that CMOS image sensor will be a fast growing area for us going forward." According to LinkedIn records, Gennadiy Agranov, a former Aptina's VP of Imaging Technology and Pixel CTO, joins Apple as a Director of Imaging Sensors Technology. Gennadiy used to be active in image sensor community and was the Technical Chair of IISW 2013 in Snowbird, UT. European project 2WIDE_SENSE aims at providing European automotive industry with the next generation image sensors beyond the current CMOS imagers. 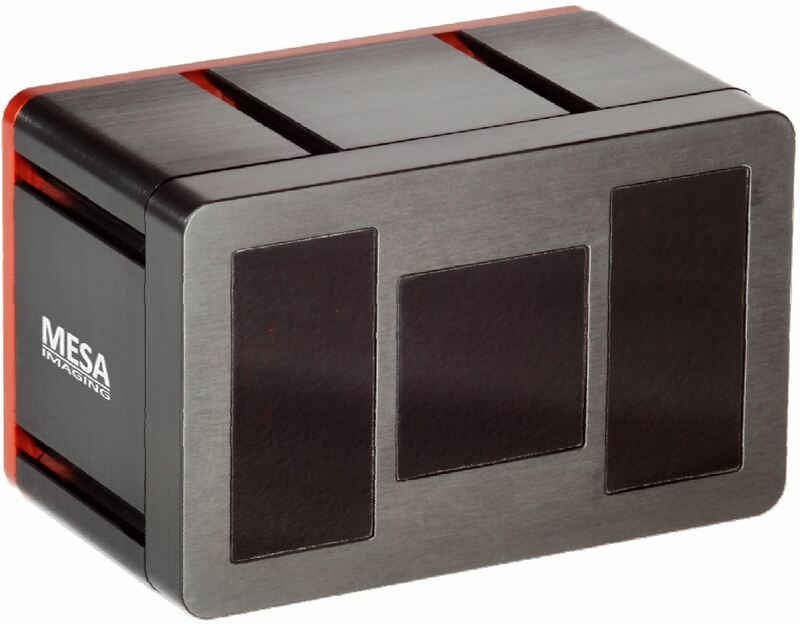 The core sensing technology is a cost-effective InGaAs focal plane array with wide spectral response (VIS-NIR-SWIR) and wide dynamic range (120dB). The project has been completed recently an its final report has been published. Business Wire: DigitalOptics Corp. (DOC), a subsidiary of Tessera, and Lite-On sign an agreement to produce DOC’s mems|cam modules. Lite-On and DOC are working closely to ramp initial production in the fourth quarter of 2013, and add high volume capacity in 2014. "Working with Lite-On to ramp mems|cam is critical to providing the capacity for the China market demand," said John Thode, president of DOC. "DOC could not have a better partner than Lite-On and we will work closely with them on technical collaboration and customer engagements." "Lite-On is interested in providing new technology and high quality product in volume to our customers," said TC Huang, GM of Lite-On Portable Image Display Business Unit. "Our Chinese Smartphone customers are showing interest levels in mems|cam that make joint capacity planning for 2014 between DOC and Lite-On very important." SFGate, SiliconBeat: Lytro laid off an undisclosed number of employees in late February, company spokeswoman Alexandra Cuccias said. She declined to give the specific number of employees laid off or to say why they were let go, saying only that the company now has about 85 employees. She also declined to say how many cameras Lytro has sold. Jason Rosenthal, the company CEO, declined to discuss financials in detail, but said the company is 20% ahead of its internal projections so far this year. He also stressed they have ample runway from their last venture capital round in 2011. "We have a packed product roadmap for next year, we’ll introduce multiple what I think are just breakthrough products. I’m super excited and the world will be as well," said Rosenthal. The long-term vision is to become "the new software and hardware stack for everything with a lens and sensor. That’s still cameras, video cameras, medical and industrial imaging, smartphones, the entire imaging ecosystem." Margit Wennmachers, a partner at Andreessen Horowitz, Lytro investor, said that at least one new device would include features that professional photographers are looking for. Wennmachers also said that sales to date have actually exceeded their internal projections: "Our expectation wasn’t as high as people on the outside had," she said. "Analysts and everyone else have to understand the full and complete vision, and you don’t really share that when you’re shipping Version 1.0. It’s one of those swing for the fences ideas. If it works it’s a monster success and you can build something really meaningful." Springer has recently published a book "TOF Range-Imaging Cameras", edited by Fabio Remondino and David Stoppa. The book brings together experts from the sensor and metrology communities in order to collect the state-of-the-art researchers working with TOF Range-Imaging Cameras. 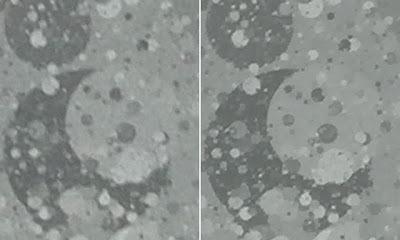 All the key aspects in the acquisition and processing chain are addressed, from recent updates concerning the photo-detectors, to the analysis of the calibration techniques and a perspective onto new applications domains of ToF technology. Business Wire: FLIR has acquired a significant portion of the assets of Tessera’s Micro-Optics business based in Charlotte, North Carolina, for approximately $15M. 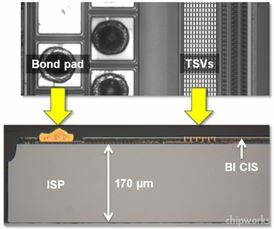 "This transaction is one of the substantive structural changes we announced we would make in the second half of 2013 as we continue to refine our focus on our differentiated MEMS-related technologies," stated Thomas Lacey, interim CEO of Tessera Technologies, Inc. "I would like to thank the Micro-Optics employees for their contributions and efforts and believe this transaction is the right step forward for the future of that business." In Q4 2012 Tessera announced that its Micro-Optics business was no longer part of its long-term strategy, and that it was exploring strategic alternatives for this business. In Q2 2013, the company actively pursued a sale of this business and started classifying the business as discontinued operations. 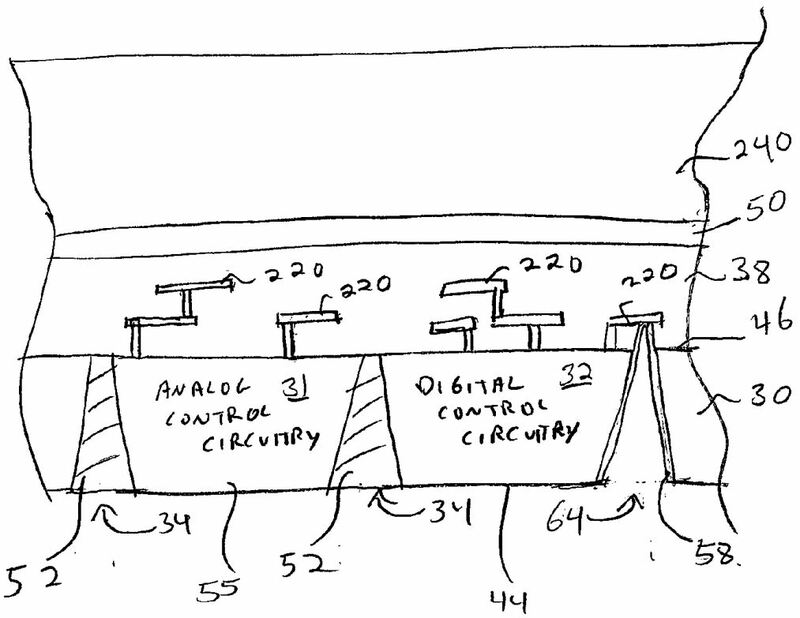 The Micro-Optics operation used to design and manufacture lens for smartphone cameras and, according to some sources, structured light projector diffraction optics for the old Kinect (other sources deny that). Reportedly, a part of the people at Charlotte facility has been laid off before the sale. Also you talk about the CMOS, the image sensor business quite strong. And the node the Omnivision just invest the Wuhan fab. And so I'm wondering the business you talking about the CMOS image sensor is now related to the Wuhan business or any of the business relationships going forward you will have with Omnivision? Our CIS business is really on own without any relationship with the Wuhan fabs. Actually we are – we actually announced earlier that we have already in the BSI technology and I think right now, customer didn’t tape out and we are going to see some revenue towards the end of the year. 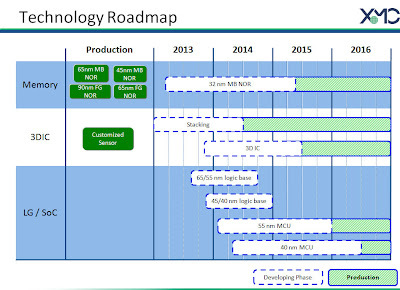 Okay, so can I assume that when you talk about CMOS sensor business quite good, let’s not talking about Wuhan site. It’s not anything related to Wuhan. "The promising technologies being worked at Rambus include binary pixel technology. 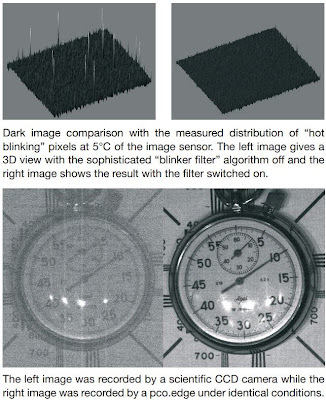 This uses high-frequency binary sampling of light on an image sensor array combined with local image processing to improve low-light sensitivity for video and photos. 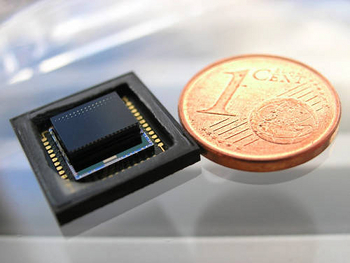 Also in the works is a lensless image sensor that uses application-specific phase gratings and local data processing to extract relevant information in Internet-of-Things applications." "I used to give Apple a lot of grief about the one-button mouse when anybody working with the mouse really wanted more buttons. Kinect is sort of like a zero-button mouse with a lot of latency on it." 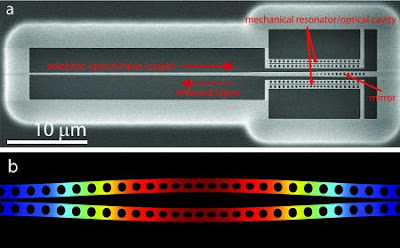 "Squeezed light from a silicon micromechanical resonator"
Also, Amir Safavi-Naeini posted a popular explanation of how his system works in Caltech's Quantum Frontiers blog. Indeed, a nice achievement that can lead to many improvements in imaging, as we discussed a year ago. Now I'd like to see them removing a liquid Helium cryostat from the system and getting the same results at the room temperature. 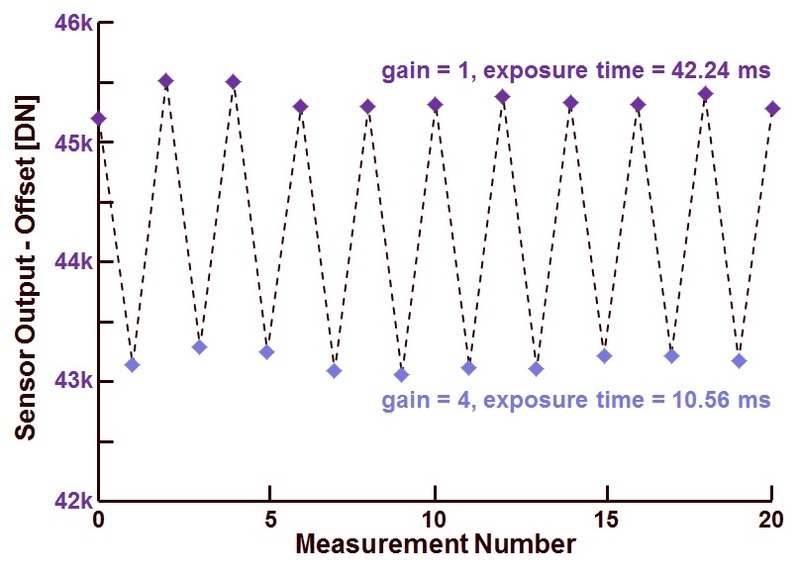 (b) A numerical model shows the differential in-plane motion of the nanobeams. "Demand for our differentiated applications continues to be strong, especially in the areas of power management. 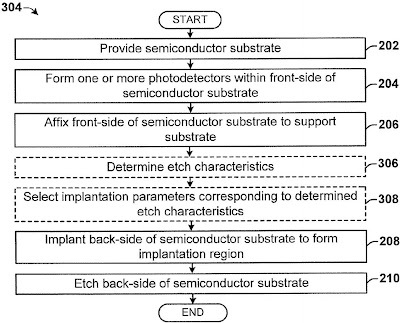 CMOS Image Sensor, and EEPROM. In order to further capture the market opportunities and to enhance our position in differentiated technologies, we are looking into various opportunities to expand our 8-inch capacity." IR: Canon Dual-Pixel AF is a "Game Changer"
"Overall, we're very excited about the Canon 70D's new Dual Pixel CMOS AF system, especially for video recording. The camera does indeed bring camcorder-like autofocus to the DSLR arena. With the Canon 70D's fast and accurate, full-time autofocus, intelligent subject tracking, low-light AF, and a great touch-to-focus system, serious filmmakers and consumer shooters alike will no doubt welcome its significant technological advancement." Thanks to PG for the link! A picture showing the monochrome resolution improvement is posted on Fickr. Thanks to ML for the info!